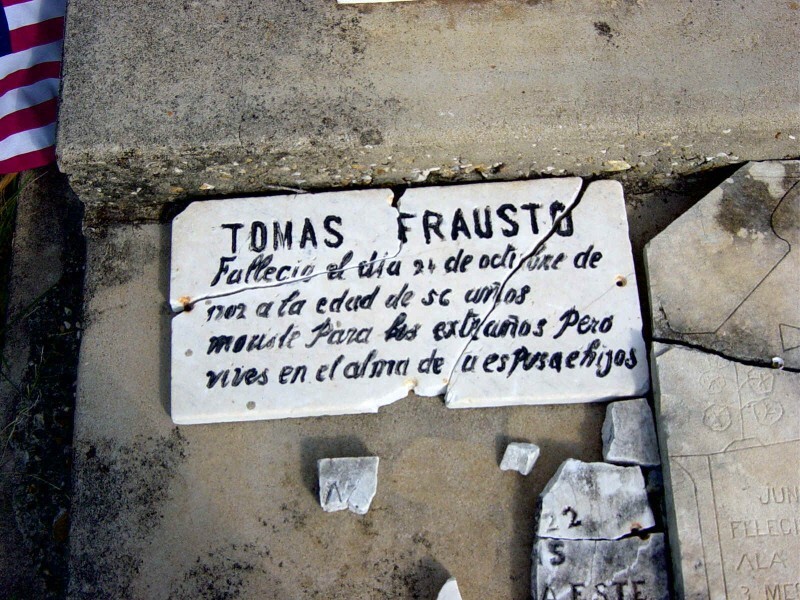 My name is Robert Frausto, I am the great grand son of Tomas Frausto. Gregorio and Jesus. They are buried at the old cemetery in Del Rio. 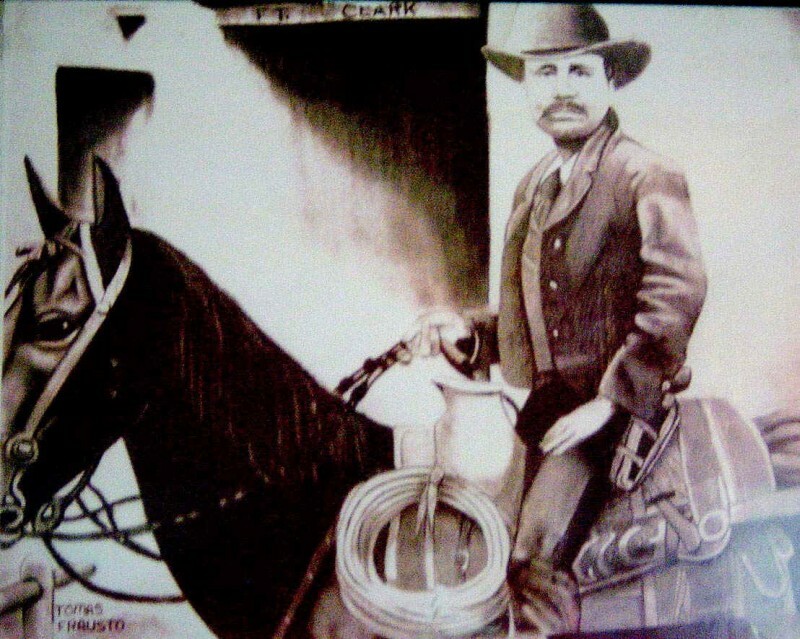 There is a copy of the photo of Tomas at the museum in Del Rio, along with a brief family history. I was in Del Rio a few years ago, but haven't been to Fort Clark since I was a teen-ager, over 30 years ago. I've been in New Mexico now for 15 years or so, but still feel a connection with the history and that part of Texas, home. Thanks for posting it and I look forward to seeing it. Enlisted May 29, 1878 at Fort Clark, Texas by Lieutenant Hall for one year at age 33. Discharged at Fort Clark May 28, 1879 with rank of Private. Buried El Cemeterio Viejo de la Cruz, Round Mountain, Del Rio. Early report listed Thomas as paterfamilias (father of family) of Gregorio and Quirino since it did not list Vector who was listed as 49 and since they all enlisted the same year it appears Vector may have been the paterfamilias. Enlisted May 7, 1878 at Fort Clark, Texas by Lieutenant Bullis for 1 year at age 49. Discharged at Fort Clark May 6, 1879 with rank of Private. Probably the father of Gregario, Quirino and Thomas. 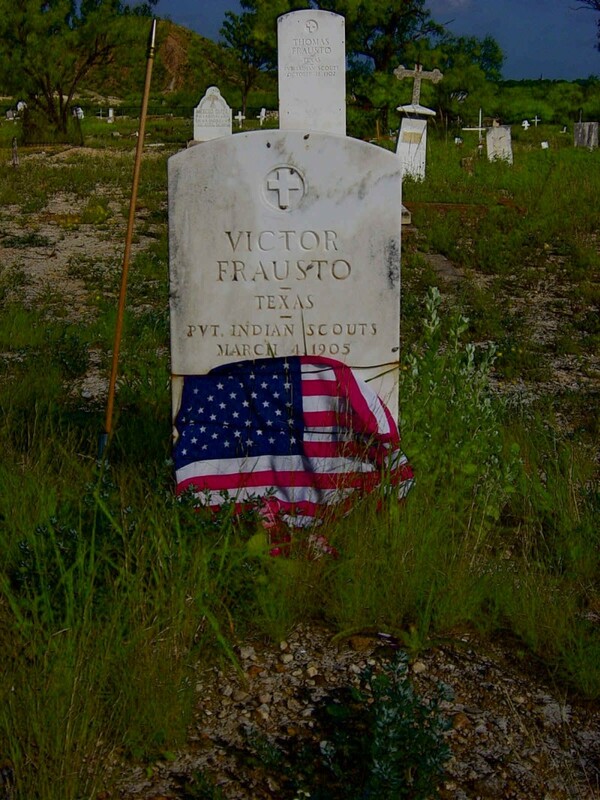 Not listed as buried in El Cemeterio de la Cruz, Del Rio, Texas as they were. REFERENCE: Seminole, Lipan, Cherokee, Creek Indian Scouts Enlistment Records at Fort Clark, Texas. Researched by Donald A. Swanson. Ames-American Printing Co., Bronte, Texas.